CoverGirl cosmetics officially received the Leaping Bunny certification, which approves all the brand's products as cruelty free. 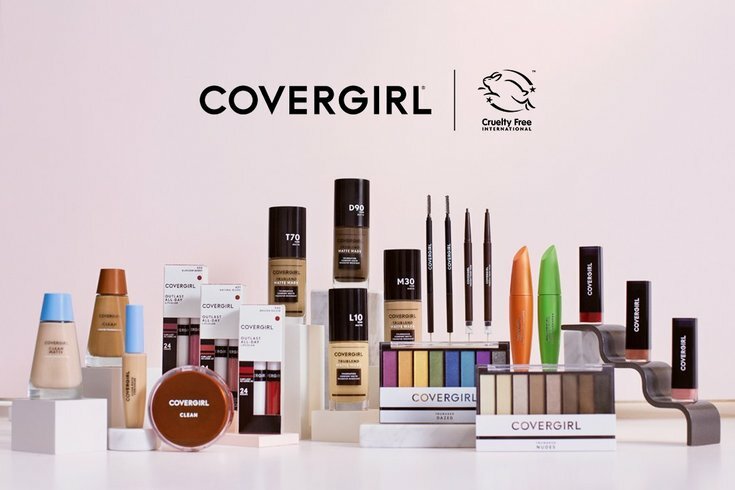 Beauty cosmetics brand CoverGirl has earned its Leaping Bunny seal of approval and is now entirely cruelty free, the company announced Monday. CoverGirl's parent company Coty has partnered with Cruelty Free International to end animal testing globally — starting with CoverGirl's Leaping Bunny certification, which is an internationally recognized stamp of approval attesting that none of their cosmetics were made using animal testing. The announcement is a big step for the entire beauty industry. Not only is CoverGirl the biggest makeup brand to make the leap, it also marks a trend in the market that shows buyers do care about the behind-the-scenes production of their goods. In September, California became the only state to make the sale of animal-tested cosmetics illegal by 2020. And shortly after, tons of drugstore products — notably Dove products — were given PETA's cruelty-free accreditation. Coty has been cruelty-free for quite some time, however in order to receive the Leaping Bunny designation, it needed to ensure all of its third-party vendors involved in the production of CoverGirl cosmetics also were not testing on animals. All CoverGirl products currently on the shelves are cruelty-free. The Leaping Bunny stamp of approval will start to appear on packaging beginning this winter and through the spring.